An unprecedented stream of Syrian Kurds, facing escalating violence in their war-torn homeland, have fled to Iraq's northern Kurdish region. Despite unbearable heat and limited basic services, the refugees continue to seek safety. Around 30,000 Syrians, most of them believed to be Kurds, have poured into neighboring Iraq since Thursday, according to the UN refugee agency. Many of the refugees took advantage of the newly-constructed pontoon bridge over the Tigris River at the Peshkhabour border point. 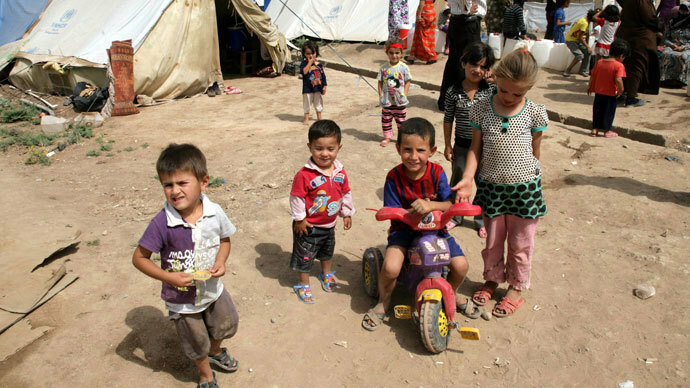 The UN, along with international aid organizations and Iraqi Kurdish officials, is aiming to provide the refugees with basic necessities but the huge influx of people is overwhelming the efforts. The large number of people left Syria to escape escalating tensions between Islamist anti-government rebels and the Kurdish militia in the northern regions including Efrin, Aleppo, Hassake, and Qamishly. Al-Nusra Front, which is an off-shoot of an Iraq-based Al-Qaeda branch, wants to capture Kurdish territories, making them part of an Islamist state they seek to establish. Several thousand refugees have been housed at the Quru Gusik camp, located some 20km from the Kurdish regional capital of Erbil. The camp is still under construction. 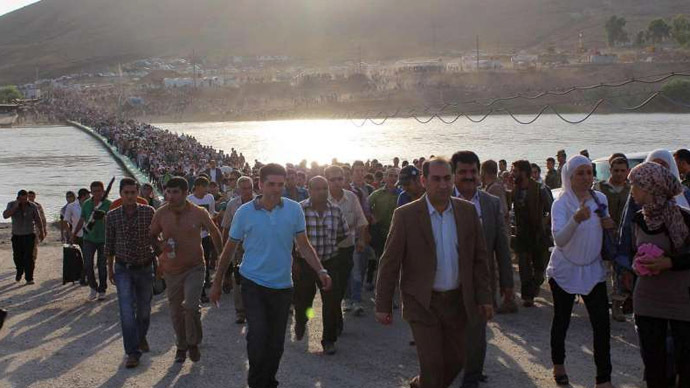 Others are expected to be transferred to neighboring Sulaimaniyah Province. Many are being housed with relatives and in mosques. 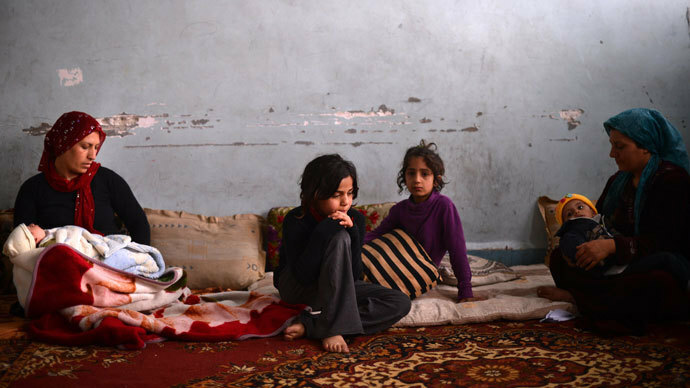 Although the living conditions are modest, many say they are better than the brutal violence they would have faced back in Syria. 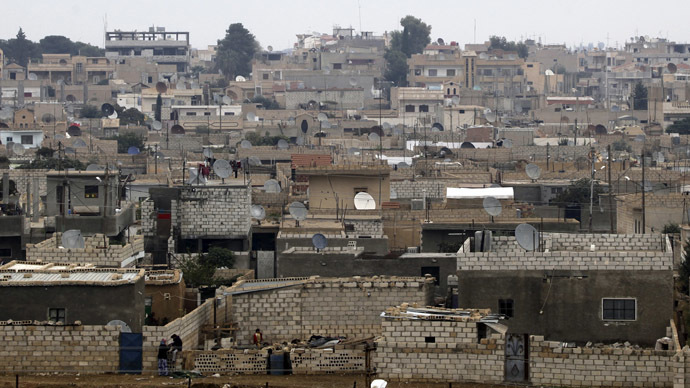 “We fled because there is war, beheadings and killings, and in addition to that there is no work,” Fadhel Abdullah, who fled to Iraq from Qamishly, told AFP. He added that the economic situation in the region has also deteriorated, while prices on “everything” have soared. “We decided to save ourselves before we died of hunger,” he said. 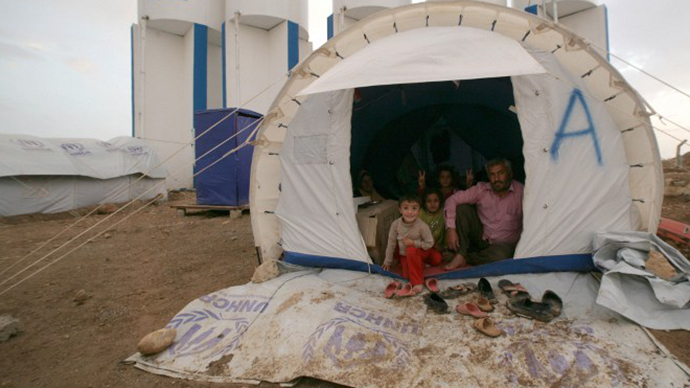 Prior to the recent exodus, Iraq has hosted nearly 155,000 registered Syrian refugees, according to UN figures. The Iraqi Kurdish region has allocated an additional US$20mn to its budget for the refugees, but will require further help from the UN and federal government. “The Kurdistan region has received large numbers of those refugees but it should be an international and Iraqi concern,” said Dindar Zebari, deputy chief of the Iraqi Kurdish foreign affairs department. When the Syrian government withdrew its forces from many of the country’s Kurdish-populated areas last year, Kurds were left to cope with problems on their own. The largest ethnic minority in Syria, Kurds have tried to avoid being dragged into the country’s civil war, distancing themselves from both governmental and opposition forces. But violence has intensified in the region in recent months, as Al-Qaeda-linked rebels seek to create an Islamic emirate on Kurdish territory - along the Turkish and Iraqi border - and take control over the area. Earlier in August, militants from the Jabhat al-Nusra Front allegedly slaughtered 450 civilians, including 120 children, in the town of Tal Abyad near the Turkish border. 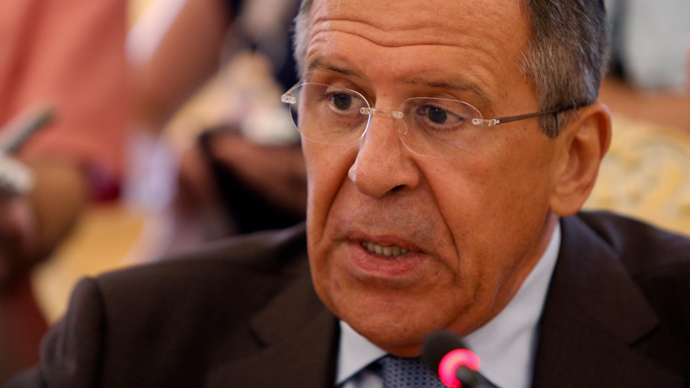 He also stated that events on the Syrian battlefield have “nothing to do” with a civil war. “This is a very clear proxy war that we see here, and it has nothing to do with the popular uprising against the Syrian government. We see that the Syrian battleground is somehow a hotspot for Jihadists, for criminals, for terrorists from all over the world who join Islamist fighting groups - who join especially the Nustra Front in their fight for establishing a sort of Al-Qaeda state, especially now in North Syria,” Ochsenreiter added. Hassan Mohammed Ali, the Kurdistan Democratic Party representative in Europe, considers the Kurdish conflict to be an effort to hamper the Syrian peace process.